Bring a refined taste to any household. These are real photographic prints, not cheap inkjet prints like some others, and are sure to class up your home decor. * HOW FUN - These prints are guaranteed to be a great addition to any room. * READY TO FRAME - You get two 11" x 14" prints. 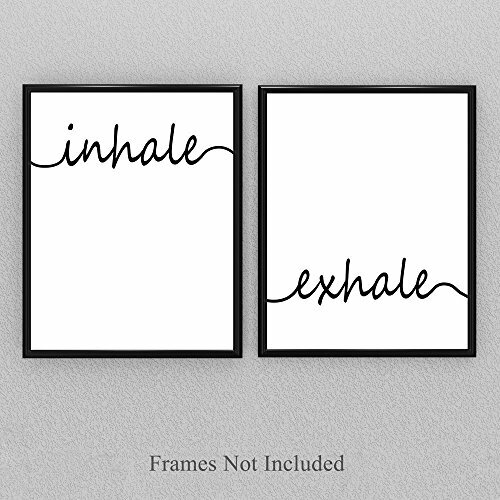 11" x 14" frames are super easy to buy here on Amazon or at any department or craft store. Choose the frames that work with your decor. * MADE TO LAST - The prints are printed on Fuji Crystal Archive paper for a lifetime of enjoyment. If you have any questions about this product by Personalized Signs by Lone Star Art, contact us by completing and submitting the form below. If you are looking for a specif part number, please include it with your message. World Scratch Off Map | 35"x24" Extra Large Size 3' x 2' | Huge Premium Quality Stunning Black and White Minimalist Map of The Globe!